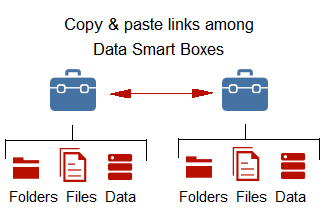 Share, emaling links to sets of files and folders comtained in"Data Smart Boxes"
Notices, notes, notifications, and alerts, with links to "Data Smart Boxes"
The "Data Smart Boxes" are small applications within the principal application to hold information, and are easy to understand and use by users who quickly become familiar with them. This is because, even though there may be different types of "Data Smart Boxes" for different purposes there is always some uniformity in terms of their functionality. 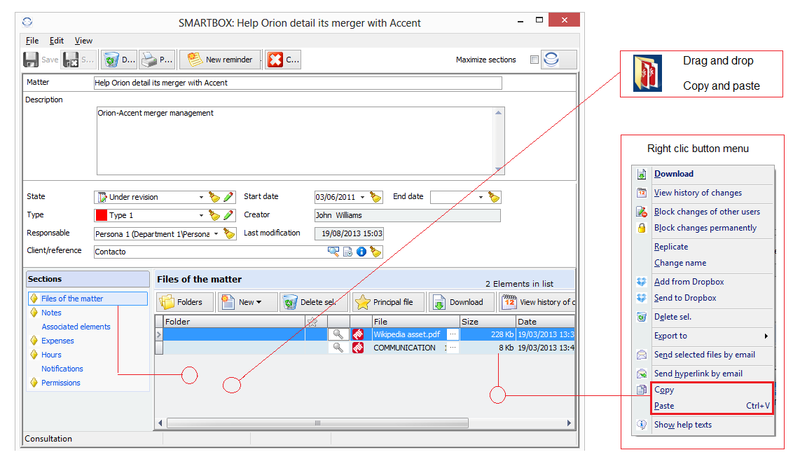 The "Data Smart Boxes" can be either containers of information and files related to either business matters or company resources, or they may be the forms of a management application or for the execution of the different phases of workflows. They are created by the users from templates designed to be adapted to every need. For the user CIFKM is a transparent application and he will not notice if he is accessing CIFKM via a local network or the Internet.